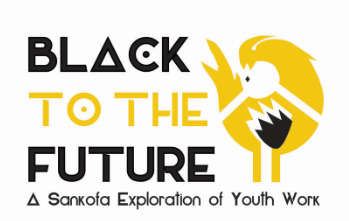 The 'Black to the Future- A Sankofa approach to the exchange of youth work practice' was a 20 month innovative intergenerational project for youth workers from the African Diaspora in Amsterdam, Bonn/Cologne and London. It was based on the principles of Sankofa which in the Twi language of Ghana translates as ‘go back and get it’. Through a series of study visits/ work shadowing activities and dialogue sessions, the project acknowledged the development of youth work practices with African Diaspora communities in these 3 cities but also explored earlier learning and knowledge, alongside contemporary models to enhance the current skills and competence of younger youth workers. The project methodologies drew on a number of interrelated processes from both global North and South which reflect the ways of supporting young people in communities which also had a level of familiarity to some of the youth workers on the programme, including : Informal Education; Sankofa; Ubuntu and The U Process (Theory U). • Help youth workers better understand the changing nature of European African Diaspora identity and help promote European integration. This project was delivered between February 2017 and September 2018 and co-funded by European Commission within Erasmus+ Programme.